Synopsis: Kevin Parson is driving his car late one summer day when, suddenly, his cell phone rings. A man who identifies himself as Slater speaks in a breathy voice: You have exactly three minutes to confess your sin to the world. Refuse, and the car you’re driving will blow sky high. 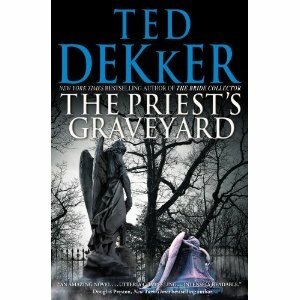 THR3E started my like affair with Ted Dekker and I've read most of his books, but not all. Some I just haven't brought myself to read...yet. He's multifaceted and has written fantasy, thrillers, supernatural thrillers, horror and mystery. Good versus evil, angels versus demons, faith versus power, chilling villains and alternate worlds. Some stories will cause a visceral reaction as your heart races and goose bumps spread across your skin and your imagination takes off. And others you read with bated breath, wondering what is going to happen next. THR3E lead me to the Paradise series: Showdown, Saint and Sinner which revolved around the small town of Paradise, a mysteries stranger by the name of Marsuvees Black and a group of children living in a hidden monastary deep in the hills. It is a showdown between good and evil. 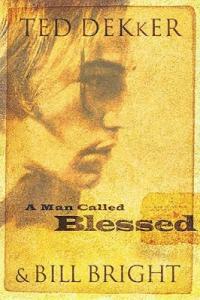 Then to the Blessed series about a innocent young child with the power of God and the fight to protect him: Blessed Child and The Man Called Blessed written with Bill Bright. Then I discovered the fantasy world of Thomas Hunter in the Circle series: Black, Red, White and the one I'm about to start reading now Green. It's been a while since I read the first three and I debated going back and rereading them, but decided not to. It is consider the prequel to Black and the sequel to White if that makes any sense, bring the story full circle. According to Dekker: "This is Book Zero, the Circle Reborn, both the beginning and the end." I just noticed the colors of the covers for the first time and the significance - isn't that cool! And if you want to be truly scared out of your mind - read House co-written with Frank Peretti, the author of the spiritual warfare novels This Present Darkness and Piercing the Darkness. It'll not only scare the pants off you, but make you want to sleep with the light on for a while. 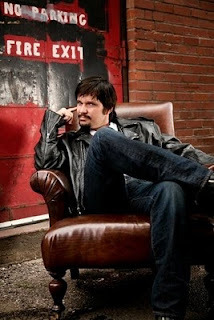 Ted Dekker (full bio here) is the son of missionaries and was raised in the jungle among the headhunters of Indonesia. He studied philosophy and religion and after earning his bachelor's degree, worked in the corporate world for a while until becoming a full time writer in the late nineties. His latest book The Priest's Graveyard will be released April 2011. I can't wait. Check out Ted's Library of books or learn more about him on Facebook. Read one of his books and I guarantee they will entertain, amaze, thrill and/or scare you. Link to your reviews: Include the name of the book in parenthesis after your name or multi if linking to multiple reviews. I'm not into scary stuff but these sound intriguing, especially the last one you mentioned, The Priest's Graveyard. @Faith - I didn't use to be into scary stuff but stories done by Christian writers are well done, psychological thrillers without the gory stuff. Most of the time. I love Tedd Dekker and I like Frank Peretti even more, time to go back to the color series, it's been awhile! I just realized you were doing a weekly linky for our reviews. I have my 4th book read, but am behind on getting the review written, so I posted the link to last weeks. 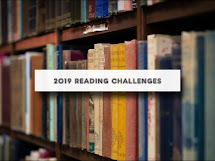 Thanks for the challenge....a challenge for me so far indeed! I've read several Dekker books including Three, but that new one looks really good! I used to love Dekker and have read most of his books. Lately he's just been a bit too wierd for me. Green was out there. Three was the first Dekker I ever read and I LOVED it, followed by the Circle Trilogy. Good stuff. He can capture the otherworldly so very well. @Marsha - glad you are enjoying the challenge. @Leah - Yep, I just discovered it while writing the post. Got me excited too. @LL - yes, some are weird but so entertaining. I've heard good things about this author but haven't read anything yet. Thanks for the recommendation. Crud, I keep forgetting to comment after putting up my link! @Sam - no worries. You don't have to comment if you don't want to. @Sojourner - Burn's a good one! 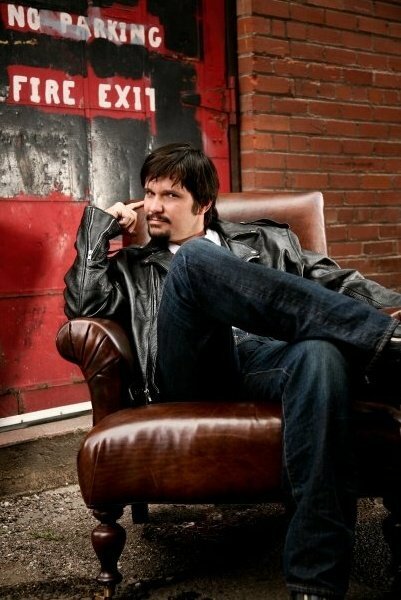 I adore Ted Dekker. Still need to read his most recent, and I'm looking forward to the new one in April. I don't buy books, so I have to wait for it to be available in the church library. Finished MissMatch and ReMatch by Erynn Mangum and Lethal Mercy by Harry Krauss, MD. All were awesome. Just started Pawn by Steven James- so far it's good. Ted Dekker is my favorite author! If you really want to be scared into not wanting to turn the lights off... read "Adam." I didn't realize you were doing weekly linkies. I am going to go back on each post and put my links in the comments since its too late to put it in linky.